GoldToe® was looking for a simple way to entice customers to choose their athletic bonus packs over their competitors'. Keeping within budget and needing a reward that would benefit their customers' active lifestyle, music downloads were the perfect fit. 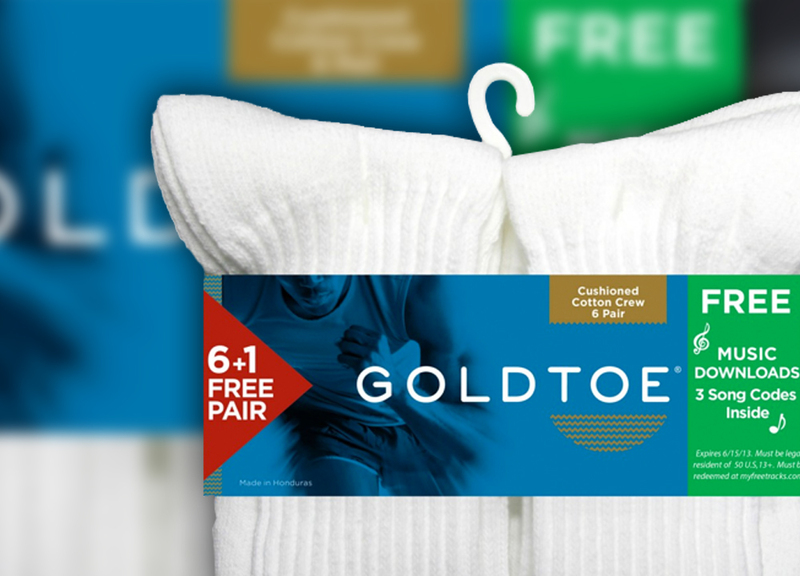 To capture the attention of their targeted audience, GoldToe offered an on-pack incentive for three music downloads on specialty-marked packages of men's athletic socks. 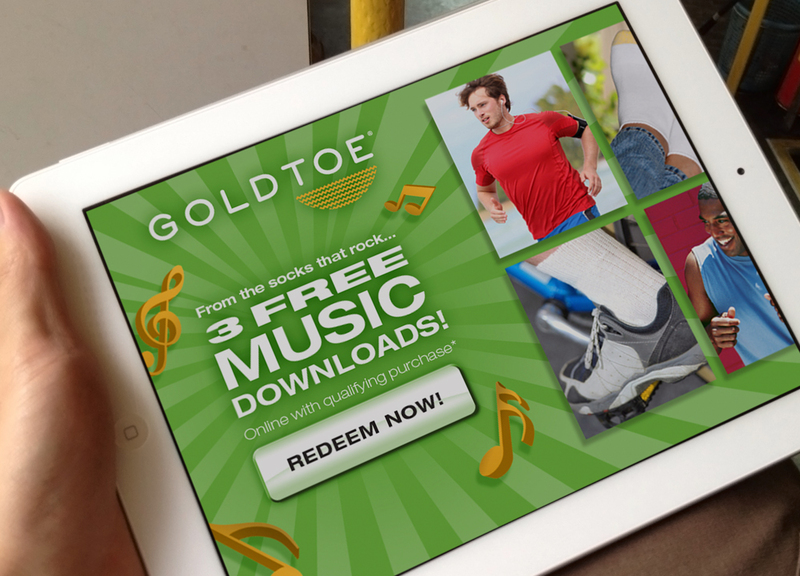 With the low cost and universal appeal of music downloads, GoldToe's on-pack reward was a winner. GoldToe customers not only enjoyed improved athletic performance but were also able to run that extra mile listening to their favorite songs.